Success these days takes a lot of different things to happen. The right place at the right time has probably never been more true in what has become an increasingly fast-paced competitive world. While good luck, impressive contacts and perfect timing can be major factors in how you are able to build your business, however, none of these matter if the face you present to the world isn't professional. Companies today aren't just looking at what you have and how it matters. They are also taking note of the way your content, your business is presented. How you introduce yourself and your product is imperative if you want to make an impression. One of the ways to do this is, when making a presentation, make it powerful. In the corporate world, slide projectors are antiques. Nor do shrewd professionals count on flip charts or whiteboards. 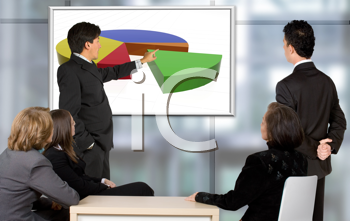 Today, the way to get attention, whether selling, informing or instructing, is with a PowerPoint demonstration. The images, fonts, sounds, and animations available online most certainly enhance these presentations, but there are still a few folks out there who aren't exactly sure how to create them. Fortunately, the internet, as always, is there to help. A simple search turned up several websites with tutorials on how to put one together, as well as tips on how to make it interesting.